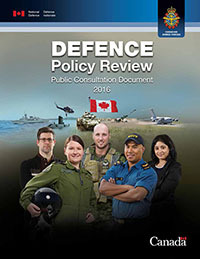 In a first attempt to answer the question “Are there any threats to Canada’s security that are not being addressed adequately?” Canadian Defence Matters tried to make the point that many of the most pressing threats to Canadian security could not be narrowly defined as military in nature. That analysis has been backed up in recent interviews with former CSIS head and national security advisor Richard Fadden who has suggested that cyber attacks and/or terrorist attacks were his main concern. The argument can be made that even if Canada’s cyber capabilities were to be “weaponized” as Richard Fadden has suggested could happen, the choice to use such a weapon would still be a political rather then a military one, taking it out of the sphere of Defence. One of the things these threats have in common is that they are not, strictly speaking, military threats. As it stands, obviously, the Canadian Armed Forces have an important role to play in addressing these dangers, but that does not make them military threats. Using a definition of a strictly military threat, that is, “the armed forces of other countries which could threaten Canada and which belong to non-democratic countries” (i.e. countries with which Canada could conceivably find itself at war) there are at present only two countries which pose a military threat to Canada’s security. Russia, the successor to the old Soviet Union, maintains nuclear weapons capable of devastating Canada. More to the point, we share an increasingly accessible border in the North which they continue to reinforce militarily. China, an increasingly expansionist power, whose outspoken designs on disputed waters in the western Pacific could bring them in to conflict with Canadian allies. Any war between involving China and her neighbors, let alone the United States, would have serious repercussions for Canada. Neither of these threats is sufficiently severe to warrant the complete re-ordering of Canadian military priorities. At the same time neither threat can be ignored. In order to adequately address the military threats to Canada, the Department of National Defence and the Armed Forces needs to re-orient resources. As a response to our shared border with Russia it means creating or re-tasking sufficient forces to be able to demonstrate, on a regular basis, the ability to monitor and control activity within our Northern territories and to be able to mount effective responses to emerging situations within those territories. As a response to China, Canada needs a ‘Pacific Pivot’, which would involve orienting more of our Naval and Air Forces from the Atlantic to the Pacific. These measures, if taken with no loss to the objective of maintaining a general purpose military force capable of actions across the full spectrum of operations, would suffice to deal with current military threats to Canada’s security.